I want to convert this into a tree-structured named list in which I can access parameter values by multiple selection. That is, I want to be able to ask for params$VAT$Tobacco and get 'standard', or for params$VAT$Clothing$Children and get 0. This is how I did so. I’m going to show my code below. I’ve annotated it in the same way I did in my previous posts, so all the explanation is in the code as comments. What I did was to write a function called multinest, correcting it a step at a time as I found cases it couldn’t handle. I built it up that way because I found it easier to explain. It seemed to be easier for the reader (or at least, for me acting as reader) to visualise than presenting a finished version of the function immediately and explaining how its recursion and base cases worked. I’m not sure why I found the latter harder, but it’s something to do with the fact that nest transforms an entire table in one go. If you then want to perform an inner transformation on the nested tables it inserts, you have to loop or recurse over them. That’s different from how a more traditional algorithm would work. Anyway, here’s my code. The final version of my function is at the end, multinest_4. # "Aa", and l$B$b must be "Bb", etc. # First, let's try nest() interactively. # the post for why it's as it is. # So that does what I wanted. # the names in t[,1]. # once in column 1. # Let's make this into a function. # so multinest() appears OK.
# how many there are. # string that gives a variable name". # Let's see what happens with two columns. # What happens with two columns? # So that looks OK.
# Now let's try three columns. # I'll reassign t for this. # of our VAT parameters. # The value is wrapped in an unwanted list. # which makes no sense. 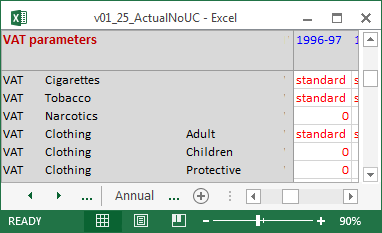 Previous Previous post: How Best to Convert a Names-Values Tibble to a Named List?